I purchased all the limited edition pieces in the Fall collection (by the way, the other two eyeshadow quads are GORGEOUS!! and I will be purchasing them later). 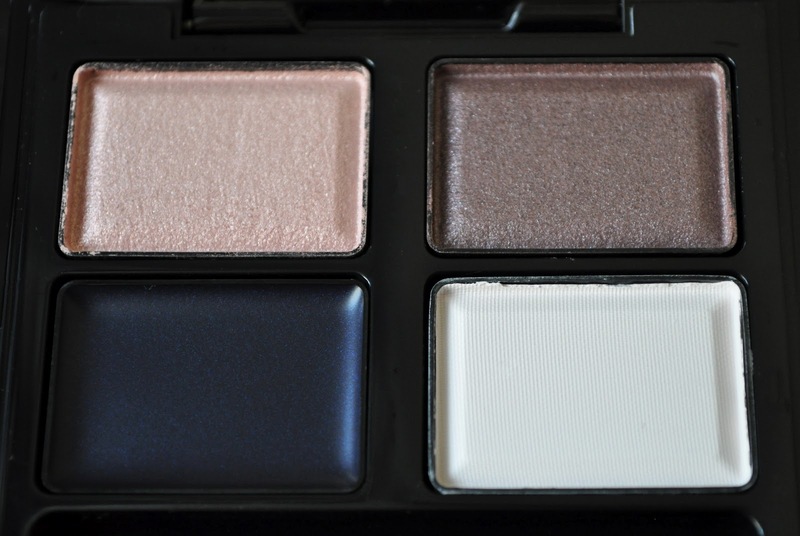 I love all the products, but I've been plagued with a bit of buyer's remorse (which is odd for me because I never have any hesitation when it come to buying makeup) regarding the Blend Color Eyeshadow Quad in EX07 Tsukiakari. Don't get me wrong, I love the quad; the texture, quality, and performance of Suqqu's eyeshadows are one of the best, but, I'm not sure if all the shades in the quad offer enough dimension to warrant the price of¥7,140 ($89.93). PLEASE SWATCH IT! :-) Doesn't the two top shades look a bit like 11 Himesango? I will :DD The top two shades are slightly similar, but the plum mauve in this quad has these pretty green and pink flecks. I like these earthy tones on eyeshadows. My suggestion... have a blog sale to bring in the cash but keep this!! 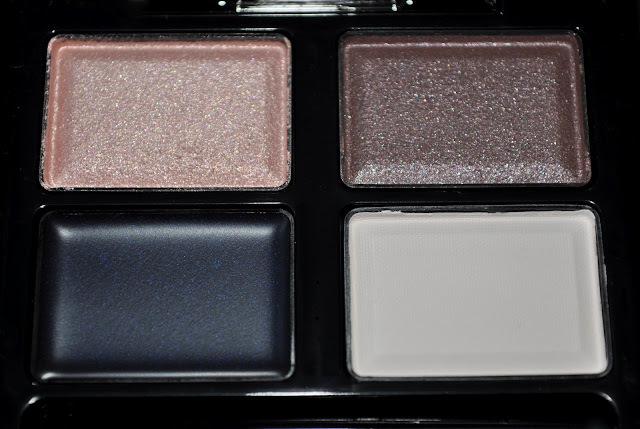 Perhaps the dusty plum taupe will be THE shadow you have beeen searching for your entire life. Imagine you return it and then it's sold out & you never get hold of one again or have to buy it off ebay for $$$$$$$$$$$$$. Better you keep it and if you end up not reaching for it then it can also go on the Blogsale / to ebay? Oh yes.....let me know when you do a Blogsale!!!! you always understand where I'm coming from. I adore plum taupe shades and this one is divine! I never think twice when purchasing a product, because I don't want to have the regret of not having purchased something when I had the chance. That was such a sweet comment about the Tarte Blushes, aren't they amazing?! How interesting that this one palette would create such indecision. Did you swatch it in the store before you purchased? If not, could you swatch/play with it in a store to see if you really like it? If I'm on the fence, swatching helps. If I'm still not sure, I agree to sales staff offers to apply it on me. If I'm still wavering, I go home and look at it a bit more. Probably annoys the sales staff but it doesn't hurt the store and I don't have as much buyer's remorse. Yeah, I played with it at the counter and I loved two of the four shadows. But since it's a limited edition piece I decided to purchase it. Wow, that taupey plum shade looks very gorgeous and complex! 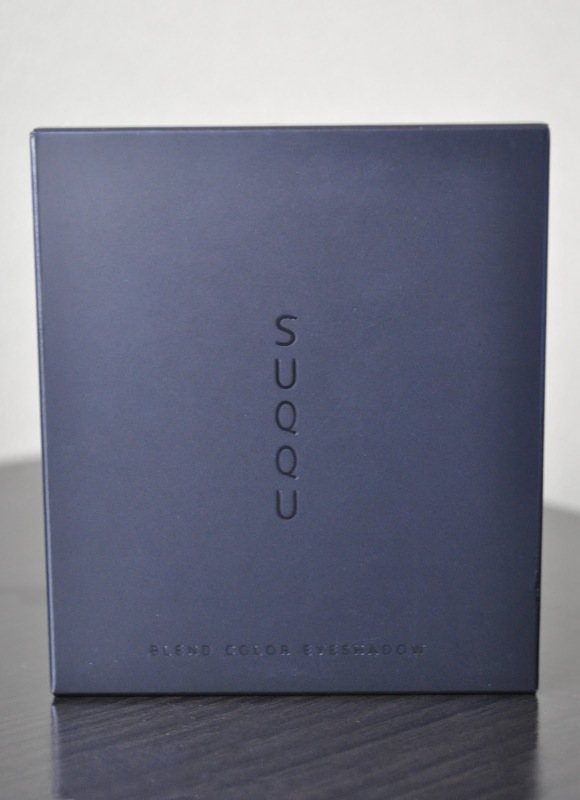 But I do feel like we've seen these shades from Suqqu before, so I agree with your sentiments. I would love to hear your thoughts on the blush duo and the pink loose powder, I wonder if they're must haves? I haven't seen any reviews for these yet! Steph, the blushes are amazing!!!! get them both!!! The pink loose powder is a total skip, I wasn't impressed in the least. I saw trust your gut!!! If your gut is feeling a little remorse then maybe the money is best spent elsewhere!!! They are nice shades but not sure i could warrant paying that amount for them!! Yeah, Suqqu quads are very expensive! So pretty! The taupe/mauve definitely seems like it's the standout shade in this palette. I love that you were able to capture the pink/green flecks that are in it as well. Woman, you don't know how many photos were taken to capture those flecks in just the right way :) Love this palette!